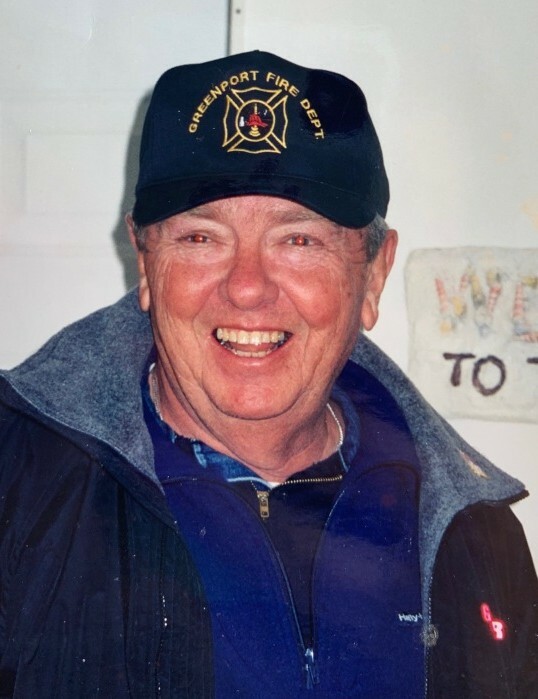 Schneider, William Bernard, age 79; died on March 28, 2019 of Greenport, formerly of Kings Park and Glenwood Landing NY. Devoted husband of Elaine. Loving father of Doreen Schaefer and Robin Sommese. Cherished grandfather (Pop Pop) of Grace, Brian and Ava. Retired Manager Verizon Telephone for 35 yrs. Town of Smithtown Fire Marshall, Firefighter VA Hospital Northport. Bill was a Volunteer Fireman for 50 years between Glenwood Landing FD, Kings Park FD and Greenport FD. Bill loved sailing, skiing and working in his workshop. Visitation Monday April 1st from 4 pm to 8 p.m. at Horton-Mathie Funeral Home 735 First St. Greenport. A firematic service will take place at 7:00 p.m. with the Greenport Fire Dept. and Kings Park Fire Dept. Funeral Mass Tuesday, April 2nd at 10 :00 am at St Agnes RC Church 523 Front St. Greenport. Interment will follow at Calverton National Cemetery, Calverton. In lieu of flowers, contributions to: Dr. Jedd Wolchok Research Fund are greatly appreciated by Bill's family. Please make check payable to: Memorial Sloan Kettering Cancer Center, in memo: Jedd Wolchok Research Fund and mail to: Dr Jedd Wolchok 300 East 66th St. 15th floor New York,NY 10065.